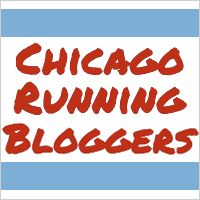 Disclosure: This is a sponsored conversation written by me on behalf of Polar US. I value authenticity and honesty, all thoughts and opinions are and will always be my own. There is one item in nearly every household that everyone benefits from having, but some seem to never use. Yes people, I am talking about the scale. While a necessary fitness tool for most it can also be a source of frustration from time to time. 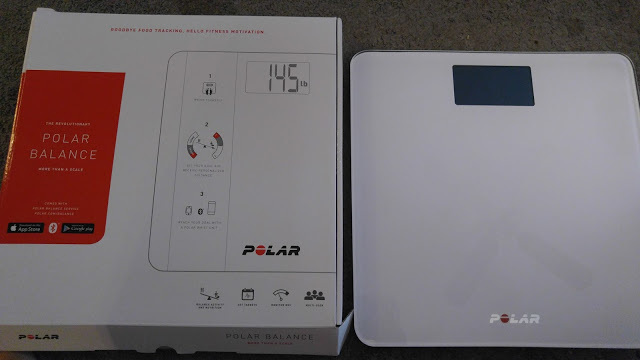 Recently, I had the opportunity to try out the Polar Balance scale, and I must admit I was very excited. Now, if you're like me, you research everything you buy because you want something that not only has great reviews, but most importantly... works! Before I dive on in to my experience so far with the Polar Balance scale, let me just say that I have used my previous scale for a little over a year now. So, while I was excited to try this new scale I was still a little hesitant. I have several Polar products, so it was great to see something new to add to my collection. Like I said earlier, I've had my previous scale for a little over a year, and we've been through so much together. There where triumphs, sorrows, and even a few arguments and yelling sessions lol. That scale has been a part of my journey and I've grown a little attached to it. Needless to say, if something is going to replace my current scale it had better be something spectacular. On a typical day I tend to weigh myself first thing in the morning to record my weight. Yes, I break my own rule sometimes and weigh more often than I should...hence the arguments with the scale. 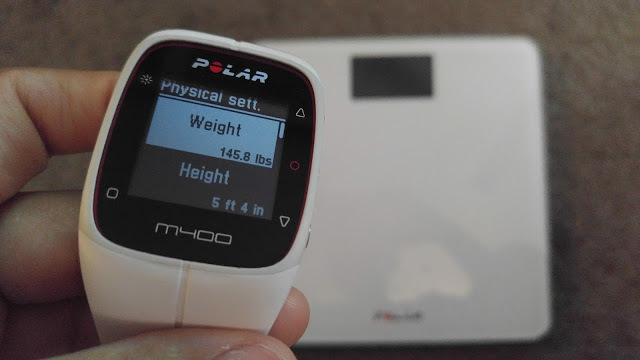 So far the Polar Balance scale is awesome! The scale has so many features I haven't even had time to play with all of them. 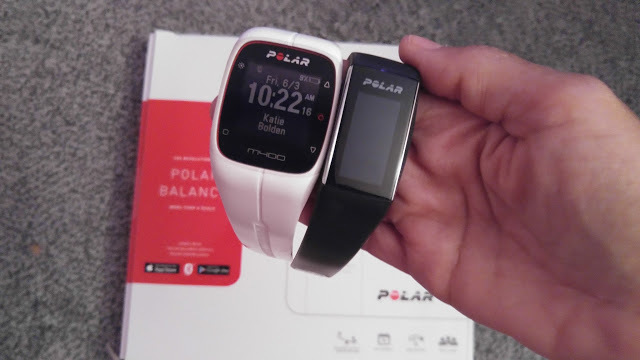 One thing that is extremely convenient is that you can pair up the Polar Balance to many other Polar devices such as the A360 or M400 and it all syncs up to the Polar Flow apps, which can be used on your phone or the computer!! How cool is that?! It makes tracking everything so much easier! With the Polar Balance Scale you can set goals, and keep track of your progress and activity. 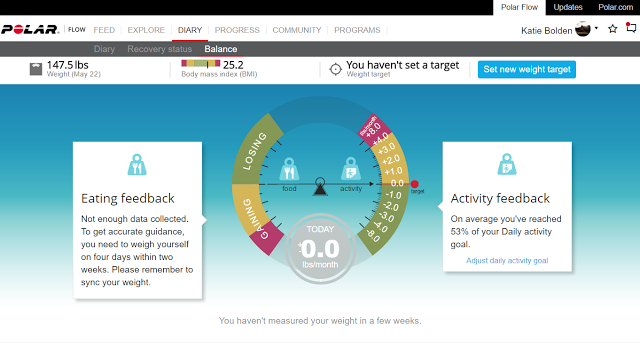 As you can see in the photo below.... that is a screenshot of the Polar Flow app on the computer and you can see that it has my Polar Balance scale info. I haven't set a target yet nor have I updated my weight from May 22, but as you can see it has a lot of info and breaks everything down. For the past couple of weeks I have steadily been hovering around 145-150 lbs. 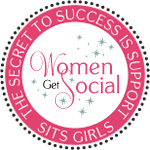 I am going to set a target to hit a 4 lb loss for the month of June and letting the Polar scale help me with my goals and track my progress. I am not sure if I will be able to meet that goal because for the past month it seems as if my weight loss has slowed down after losing 134 lbs. I recently broke a 13+ month streak of having a minimum 4 lb loss every month. The streak broke with May's end of the month weigh-in and I only lost 2 lbs. It was a little upsetting to see my streak break, but it will not slow me down, or make me lose motivation and determination to work for more. 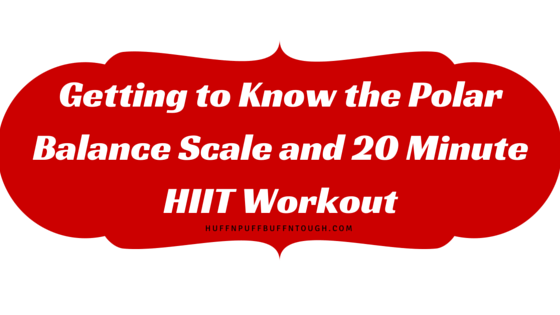 In my part 2 post, I plan to go into further details about my progress with my set goals for June, utilizing the Polar Balance Scale, and my current workouts for the month. Below is my 20 Minute Fasted HIIT Cardio workout I created made up of my most favorite cardio exercises for the #PolarShapeUpChallenge. You will find this workout in the #PolarShapeUpChallenge ebook, which can be found HERE. 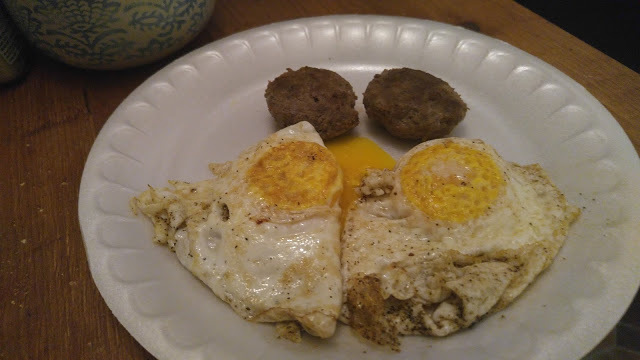 Following my morning workout, I like to have my favorite post workout meal for breakfast, which consists of a protein shake with turkey sausage and organic eggs sunny side up. Sometimes I like to add creamed spinach to the meal, but I will do that maybe once every couple of weeks. I can't wait to play around with the scale more and get to know it a lot better. I really feel that the scale can give me that extra motivation to keep pushing forward and reach my goals this month. A discount you say?! That's right! 20% off when you purchase a Polar Balance or Polar Fitness Tracker using code POLARFITPOST (This code is case sensitive). This is a sponsored conversation written by me on behalf of Polar US . The opinions and text are all mine.